Forthcoming water deregulation could deliver benefits for English businesses. Improved customer service, efficiencies of having one supplier and some reduction in costs with higher discounts expected in a few years’ time are among the gains to be had once the water sector is deregulated in England from April 2017 (Wales and Northern Ireland will remain unchanged). Currently a supplier is determined by location rather than choice. However, a small minority of commercial sites (which consume more than 5 million litres per year) have been able to switch supplier since the option was introduced by Ofwat in 2011. In April 2017 this threshold will be removed in England, enabling one million plus businesses to follow suit. Since deregulation in Scotland in 2008, businesses, charities and public sector organisations have been able to choose their own water supplier from a number of licensed suppliers. Business water rates have therefore become much more competitive, with a wider choice of suppliers and services in addition to lower prices. Using Scotland as our guide, we expect extensive cost savings not to be forthcoming in the early days as the margins won’t be available to entice licensed suppliers into the market. But, like Scotland, once the market becomes established that will change. We recently tendered on behalf of a Scottish client and saw discounts of 20% against published prices. Initially we estimate some small savings of around 2%, which in a marginal market shouldn’t be ignored. However, we believe other benefits make it worth switching supplier as well. 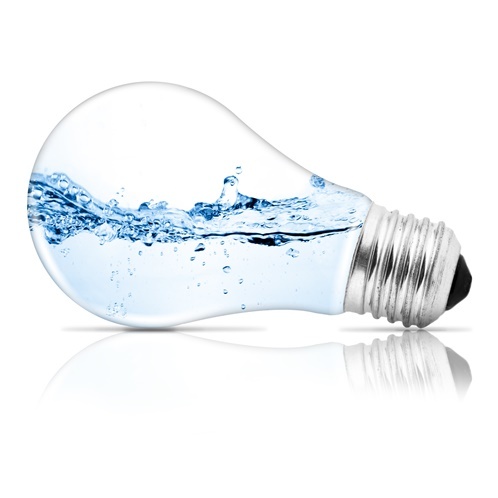 Businesses can centralise their water bills with one payment for all its businesses and we anticipate most water providers will be differentiating themselves by their customer service so expect quicker responses and accessibility of smart technology for improved water management over time. The next big price review will be in 2019/20 and this is likely to trigger higher discounts and those which are already utilising one supplier will be well placed to benefit even if it means switching again. The biggest hurdle for many businesses will be the perceived upheaval and time and effort they think it will take to make the change. But, just like switching energy providers, it is relatively straightforward although we think the market will be driven by third party intermediaries (TPIs) which will act on behalf of companies, identifying the best package and managing the change. Deregulation in Scotland has made the cost of water much more competitive as more suppliers provide a wider range of discounts. Not many of the large consumers of water have switched supplier despite having the option for the past five years. Again, we think that’s down to a misconception that to do so is difficult and time-consuming and that currently cost savings are minimal. As more businesses benefit from switching, we will see increasing numbers take the plunge.